This is a quite detailed but fundamentally mis-directed and hugely naïve critique of those of us who believe militarised conservation and anti-poaching is not the answer to stopping the poaching of wildlife. It is poorly argued and misses the point that shooting poor poachers, even in countries with the death penalty, is summary justice and further antagonises and builds the sense of grievance of communities living alongside wildlife. And what does he mean by a “civilized country” ? Where does this arbitrary label come into discussions of conservation – civilised by whose standards? I’m really not sure how the writer can argue that those who have built up strong, evidence-based arguments against militarisation are naïve – far from it. He has the naïve belief that deadly force and the willingness to use itroutinely is a good thing and will work. It hasn’t and it won’t in the future. He also harks back to the spent and rather convenient ivory-insurgency link. The LRA and Mai-Mai may take small numbers of elephants and trade tusks. LRA maybe 35 elephants a year and Mai-Mai opportunistically. They are not significant drivers of the illegal ivory trade or poaching, except on a highly localised basis in parts of the DRC. He cites the largely inaccurate Born Free C4ads study to support this. The study accepted the Al Shabaab and Boko Haram myths without question and is not a good source – it is a campaigning document and not peer-reviewed research – on LRA, Mai-Mai and Mali. Elephants are poached at times of conflict, but this does not mean ivory fuels terrorism or funds insurgent groups; at most, with LRA and Mai-Mai it is an opportunistic means of making money on the side and does not materially affect the conflicts in which they are involved or the continental future of the elephant. Over the past few months, a few academics have released a tide of articles criticizing what they call the “militarization of conservation,” but their ideas are not grounded in reality and, if taken seriously, would only speed up the extinction of threatened wildlife. Critics of “militarized conservation” often deride the “increasing acceptability of human deaths in defense of animal lives”. But this completely misses the point. Most civilized countries do not have the death penalty, yet law enforcement officials occasionally have to resort to lethal force to protect the public, themselves, or their colleagues, in the course of carrying out their professional duty. If we desire that wildlife and wild places have a place in our future, then we must extend them the same level of protection as we afford other resources, or they will be lost forever. Many of those working on-the-ground in conservation – as opposed to those researching conservation – are not interested in engaging in this debate but are more concerned with continuing their day job, saving species from extinction. However, without a counterpoint, this new narrative could seep from academic journals and blogs into the public space, where it might influence the donors and policy-makers currently preserving the remnants of our cherished natural heritage. Duffy’s narrative is guilty of multiple errors of generalization and sins of omission. It does not treat wildlife crimes as actual crimes or accept that policing of wildlife crime should look like other policing. Instead, this narrative paints all armed law enforcement activities as necessarily bad and, perhaps most worryingly, does not appear to grasp that wildlife – such as lions, elephants, and rhinos – must be protected today or there will be none left for the future. 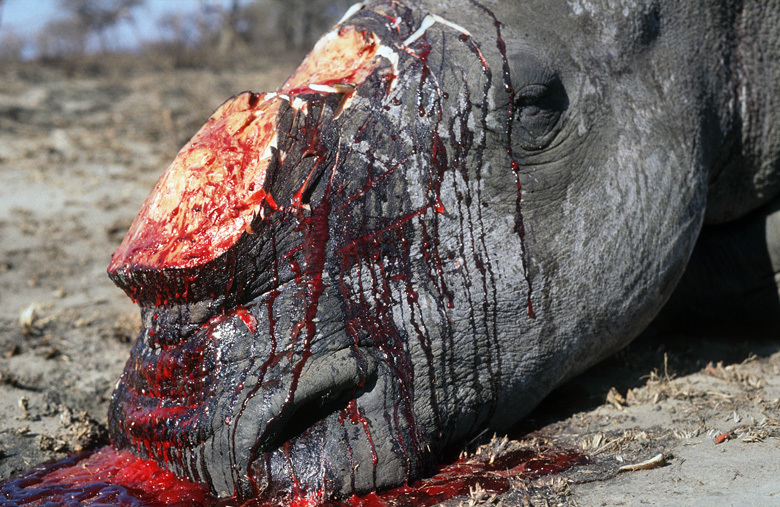 Since a crime is defined as a contravention of the law, poaching animals is a crime. Laws are put in place for many reasons, among them to protect assets belonging to one entity from being stolen or damaged by another. 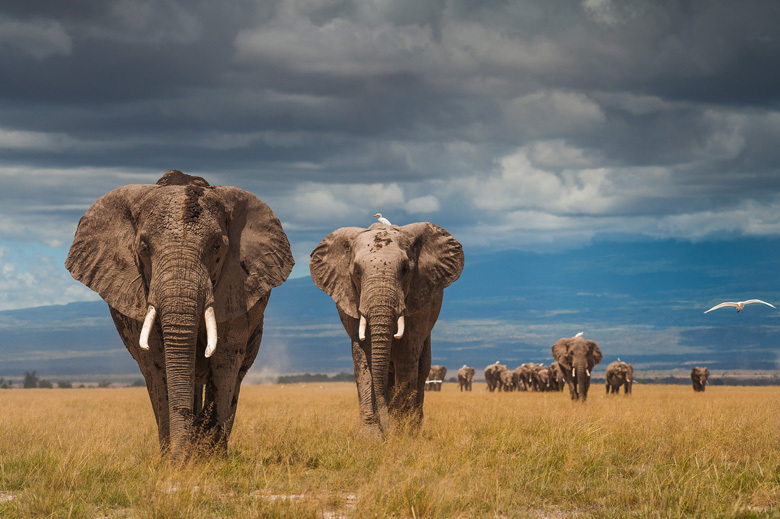 An African elephant family in Amboseli, Kenya. Photo Credit: Federico Veronesi. Like gold reserves in a central bank or livestock on a farm, national parks and the wildlife they protect are assets that require protection from those who would steal or damage them. Killing wildlife inside national parks is quite literally theft: the stealing of an asset that belongs to the people or to the state; while extinction is theft from future generations. Wildlife tourism also makes a significant contribution to the GDP of countless developing nations across Africa, making poaching a genuine threat to the current and future prosperity of these nations and their people. Poachers who kill wildlife are literally stealing from their fellow citizens who elect not to poach. Moreover, the slaughter of highly intelligent animals such as elephants for personal financial gain is morally repugnant, both from animal welfare and ecological perspectives. We cannot ignore the extraordinary emotional trauma that poaching inflicts on close-knit families of elephants, or the knock-on effect that extirpating a species has on the landscape. Wildlife crime is more than just a simple act of criminality, it is also incredibly cruel. The policemen of national parks may look different from those on the streets, they might wear camouflage because they work in the bush, and they are often referred to as rangers, but they fulfill the role of police. Protected areas, like any other resource or asset, require policing. Poachers of high value target species such as rhinos and elephants are almost always armed with illegal firearms, and are often willing to use lethal force. When faced with heavily armed and potentially hostile criminals, rangers, just like the police, must be trained and equipped to protect themselves. All law enforcement agencies have rules of engagement including the use of escalating levels of force commensurate with an escalating threat, occasionally necessitating the use of lethal force. Critics of “militarized conservation” often deride the “increasing acceptability of human deaths in defense of animal lives”. But this completely misses the point. Most civilized countries do not have the death penalty, yet law enforcement officials occasionally have to resort to lethal force to protect the public, themselves, or their colleagues, in the course of carrying out their professional duty. Suggesting that conservationists elevate the rights of animals over people is misleading and disingenuous — no one suggests that gold is worth more than people when armed bank robbers are shot during a heist. 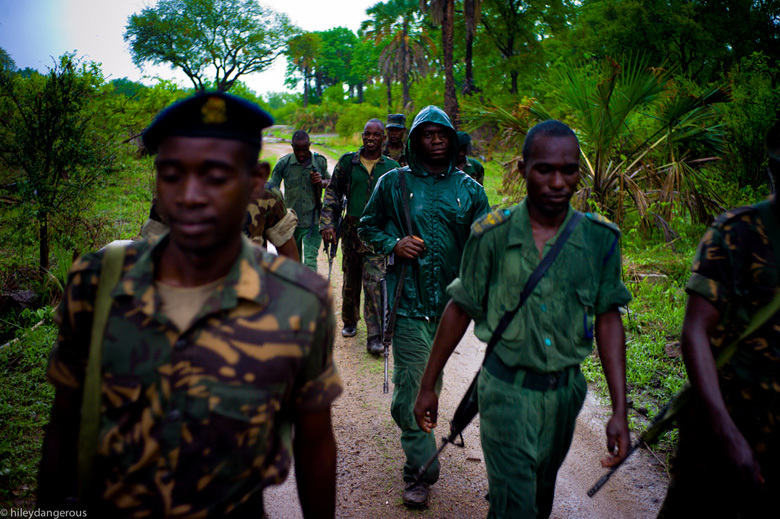 Rangers on patrol alongside the Army during National Park Rescue’s Operation Safe Haven. Photo Credit: Mark Hiley/National Park Rescue. Many of the causes of poaching are the same as any other crime. Poverty is a driver of crime in all parts of the world, and it is beholden upon governments and NGOs to alleviate poverty wherever it occurs. But it is equally beholden upon us all to mitigate the effects of crime: to police our streets and natural resources to prevent criminal acts, regardless of whether those acts are perpetrated by people in poverty. It is absurd to suggest that armed police should be able to defend a bank or a farm from armed robbers – even if those robbers may be poor – but that armed rangers should not be able to defend a national park from poor armed poachers. Articles such as those by Professor Duffy often refer to the war on drugs and criticize the targeting of ‘foot soldiers’ (in this case the poachers) while leaving the kingpins in place. The most important difference here is that, unlike the drug trade, foot soldiers in the illegal wildlife trade are dealing with a finite resource: extinction is forever. We must invest our energies into stopping both the kingpins and the poachers if we are to stop the slaughter of our precious wildlife. Some species may be protected by education efforts, others by safeguarding habitat, but you can’t use the same benign approaches to tackle the poaching of commercially valuable species such as rhinos, elephants, and tigers. The pressures on these species, the drivers of poaching, and the criminals involved are completely different – and require more police-oriented methods. Articles criticizing the “militarization” of conservation often refer to the use of advanced tactics such as remote surveillance, informer networks, and intelligence gathering. But such articles are confusing the “militarization” of conservation with the professionalization of conservation. These techniques aren’t exclusively military – they are standard policing techniques, used because they improve the probability of detecting and preventing a crime before it happens, or apprehending a suspect when a crime has been committed. Duffy also attempts to discredit “militarized conservation” by debunking links between Boko Haram and Al Shabab and the illegal wildlife trade, while conveniently ignoring the proven involvement of the LRA, Mai Mai militias, and Malian Islamist groups in cases of mass elephant poaching. What is totally undeniable is that commercial poaching and trafficking are run by multi-national criminal gangs, whether or not they are linked to global jihadi terrorism. 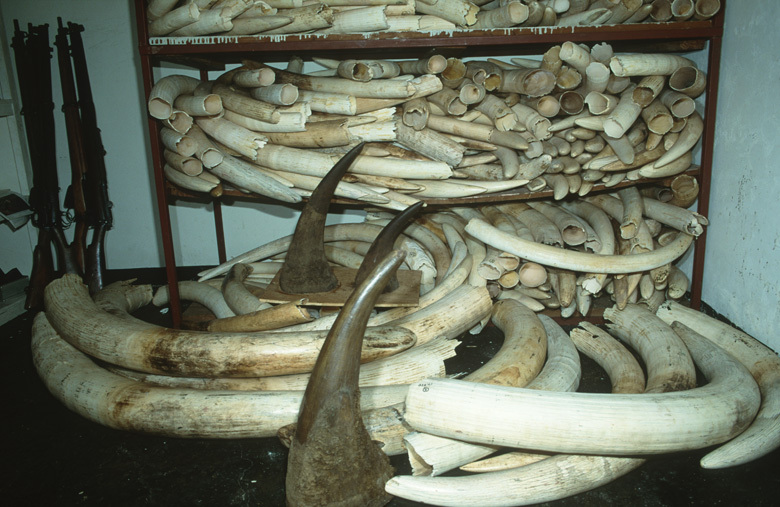 Confiscated elephant ivory and rhino horn. Photo Credit: Martin Harvey. Anti-poaching isn’t becoming more “militarized” because of jihadi terrorist groups, it is becoming more “professionalized” because the threat to wildlife and to rangers has increased, and because we are running out of time to save the most valuable species and landscapes on Earth from determined criminals. In her criticism, Professor Duffy has correctly pinpointed some of the rare offenses, verging on atrocities, carried out by NGO-financed rangers in the field. What this highlights is that wildlife policing should be regulated in the same way as regular police forces are regulated, by the creation of IPCC-equivalent bodies. It is vital that rangers operate within the law, and that any atrocities are reported and prosecuted. However, for these articles to use rare examples such as these to condemn the work of professional and responsible law enforcement personnel who risk their lives every day in the protection of our natural resources does a huge disservice to those who are operating within the law and are making a positive contribution to the countries in which they operate. When it comes to complex law enforcement problems, such as the policing of commercial wildlife crime, NGOs and international organizations (Interpol, the UN, etc.) are often better positioned to provide the necessary training, equipment and support than host nations, due to matters of economics and expertise. As a result, many foreign organizations have become involved in this “militarized conservation”. But Professor Duffy criticizes several such organizations, for example the International Anti Poaching Foundation. Duffy assumes that because the founder of the IAPF is ex-military, the organization is necessarily bad. Duffy ignores the facts that the IAPF’s founder, Damien Mander, is a vegan motivated by his deep concern for wildlife, who employs dozens of local people in the protection of their natural resources and is investing in female empowerment programs in rural Zimbabwe. It is clear that conservation efforts will fail in the long run if communities are not engaged in the process. Responsible conservation NGOs are intimately engaged in community development programs, but they also recognize that robust policing is required to mitigate the disastrous effects of unregulated poaching. In 2016, WWF released its Living Planet report, which found that 58 percent of all wildlife on Earth has already been killed in the last fifty years. There simply isn’t time to wait for long-term initiatives to replace those directly protecting wildlife. Of course, we must tackle the drivers of poaching that these articles mention, but if we only focus on tackling these drivers through long-term education and social programs, there will be nothing left to protect in a remarkably short time. Not only is there a legal responsibility to protect wildlife from illegal exploitation, but there is a moral responsibility, too, if we are to prevent the extinction of untold numbers of species on our watch. Although I have focused on poaching of rhino and elephant, it is worth raising the point that unrestricted bushmeat hunting in Africa, Asia, and across South and Central America is a human disaster in the waiting that will precipitate a tragedy of the commons, where nobody benefits in the long-term. Without strict regulation, uncontrolled bushmeat hunting will see many communities poach every living thing out of the wild, leaving nothing for future generations. No doubt Professor Duffy and I both want the same thing: to see a reduction in both the causes of crime and crime itself. I welcome any robust analysis of the efficacy and morality of anti-poaching operations. These critiques, however, do not constitute a robust analysis. At a time when our natural heritage is under threat from all sides, such articles are not only misleading but dangerous, and an insult to the families of the thousand-or-more brave rangers who have lost their lives in defense of the wildlife that is so important to the future prosperity of their communities and to the state of the planet as a whole. The extinction of elephants and rhino and of untold other species is almost unconscionable, and yet, as poaching levels remain so devastatingly high, it is becoming a more realistic prospect as every year goes by. We are not at the eleventh hour, the eleventh hour has gone. Now is not the time to roll back on our efforts to stop the slaughter, now is the time to do all we possibly can to prevent this ecological and moral catastrophe: the destruction of the living planet and the extinction of species. 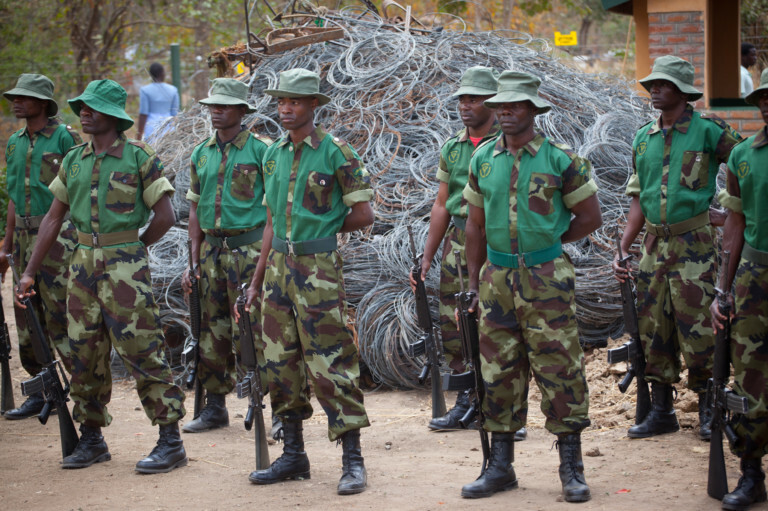 Rangers with thousands of lethal snares removed from a national park. Photo Credit: Jason Howe. Dr Niall McCann has presented wildlife programs on the Discovery Channel, Nat Geo Wild and Animal Planet; he has a PhD in conservation biology; has worked on frontline conservation projects in Africa, Asia, and Latin America; and is Director of Conservation at National Park Rescue.